Those who suffer personal injury as the result of an auto accident need to protect their right to recovery for their medical bills and pain and suffering. To do so, they need to engage in the appropriate tactics and game plan in order to build a strong case against the insurance company that they will assert a financial claim for injury against. To successfully assert a claim and receive appropriate compensation for bodily harm, the victim will need to enlist the help of an car accident injury lawyer in their local area. Going it alone is simply not an option because rest assured the insurance company is engaging in tactics and has a game plan to cut down the value of each and every claim so they can settle them for as little as possible. Do not be fooled by the insurance agent being nice to you. Their sole goal is to pay you as little money on your claim as possible thereby increasing their profits for the year. Anaheim California Personal Injury Lawyer Auto Accident Help! If you or a loved family member has suffered a personal injury auto accident, it is important to get advice from an attorney about your legal situation as soon as possible. In the event the victim’s injuries are the result of the negligent acts of another driver, certain steps must be taken to protect the victim’s claim against the other drivers insurance company. By speaking with an attorney early on in the claims process (preferably before even speaking the insurance agent), the victim will learn about their legal situation and will be able to make an educated decision about how to pursue their case. The importance of this early guidance is absolute. This is why you should get Anaheim California Personal Injury Lawyer Auto Accident Help from Alexander Napolin. 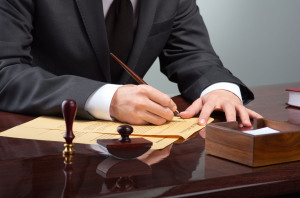 He is experienced and offers free and confidential legal consultations to anyone who calls his office at 1 (714) 265-7526 or submits a case evaluation form at www.AutoAccidentLawyerOC.com. When you call for help, he comes to the phone to personally offer you trusted and needed advice and to answer your most pressing questions about how to protect your legal rights. Do not hesitate to get us on your side as soon as possible. Know that when we are on your side that there are zero upfront costs to you and absolutely no attorney fees owed unless you recover on your case! Since legal consultations are free and no upfront costs exist, there is no reason not to get the ball rolling to get the advocacy and counseling that you need and deserve! Today! We want to hear from you about your situation! Call us at (714) 265-7526!